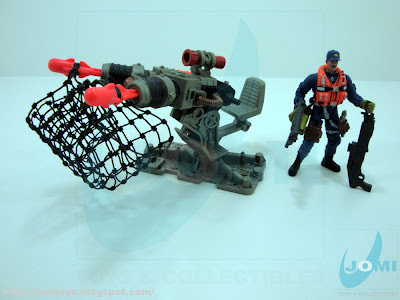 Starting a week of smaller sets reviews, and in a way, recapturing a detail referred to while reviewing "Attack & Escape Play Set", we have the "Net Launcher with Captain Maxwell" figure playset. 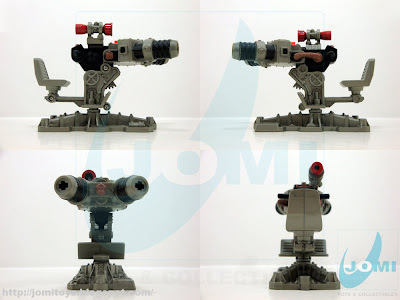 Although some "figure playset" sets came in both MOC and MIB versions, some (as this one) were only available in box sets. The reason is obvious. 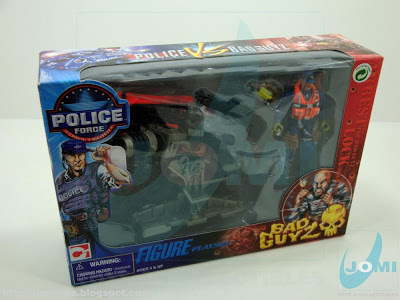 It would be rather difficult (better put, expensive) to mold a bubble for bigger accessories, such as this "Bad Guyz" capturing device. Plastic is still more expensive to work with when compared to paper. 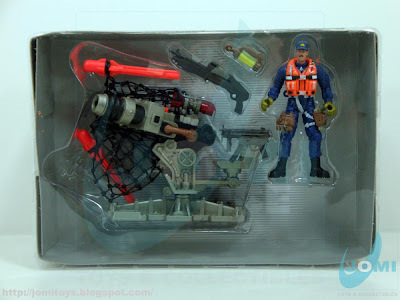 Included accessories, "Captain Maxwell" figure (to be reviewed this week in further detail) and the net launcher with netting and firing missiles with removable "nose". A nice looking "battle station" for your dioramas, bases, or whatever purpose you may find. 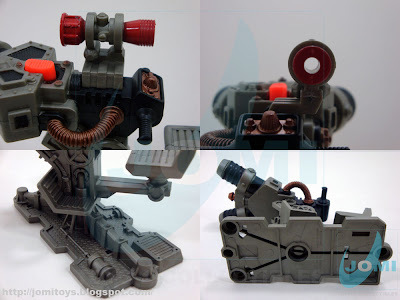 Detailed enough yet simple, and pretty rugged for hard play. This "catcher" is an interesting thing with a cool engineering. It´s a netting "mouth" composed of a folded common Chap Mei net which is fired via 2 missiles. 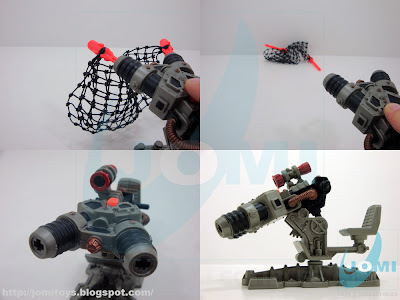 It´s also the chosen machinery to substitute the 4 barrel gun used in the "Bad Guyz" monster truck when a "Wild Quest 2" version of it was released. As you can observe, this version has a base "plate" which is understandably not present in the "Wild Quest" vehicle-mounted "Net Launcher". 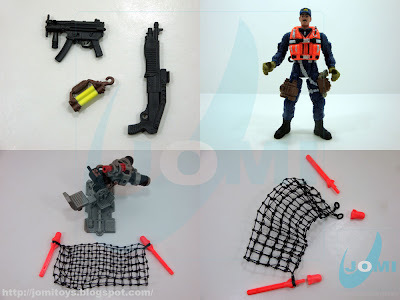 Scale shots with both included Chap Mei figure and Hasbro´s G.I.Joe.